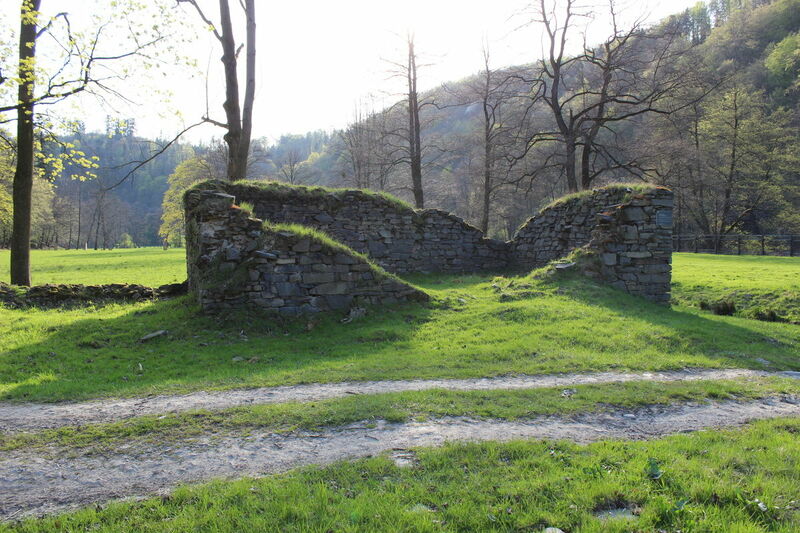 Fragments of the walls of the Rozsocháčský Mill. 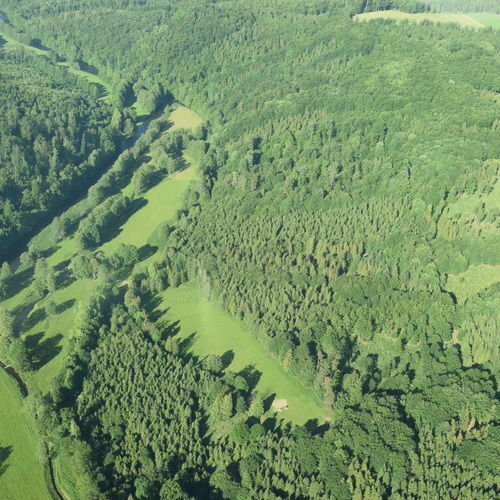 More than thirty water mills in the valley of the Moravice River witness the use of water power already at the time of the medieval colonization of this territory; in the written records, however, they are mentioned only from modern times onwards. Today, the Domoradovický Mill, which originally consisted of a number of buildings, two mill wheels and still shows a mill race, can be visited. Another object is the Albrechtický Mill with the fragment of a water race and a number of buildings with wooden weir, where the mill race started. 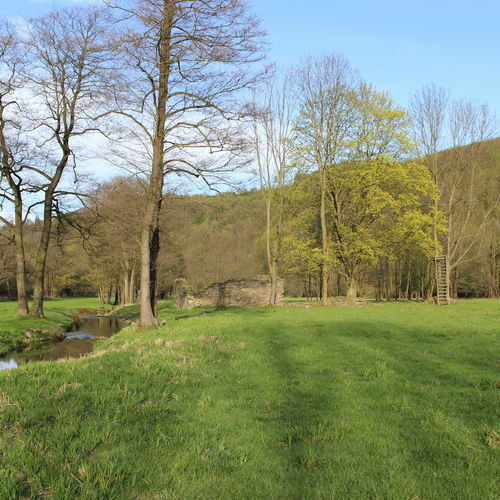 Both mills were later adapted to gamekeeper’s lodges. 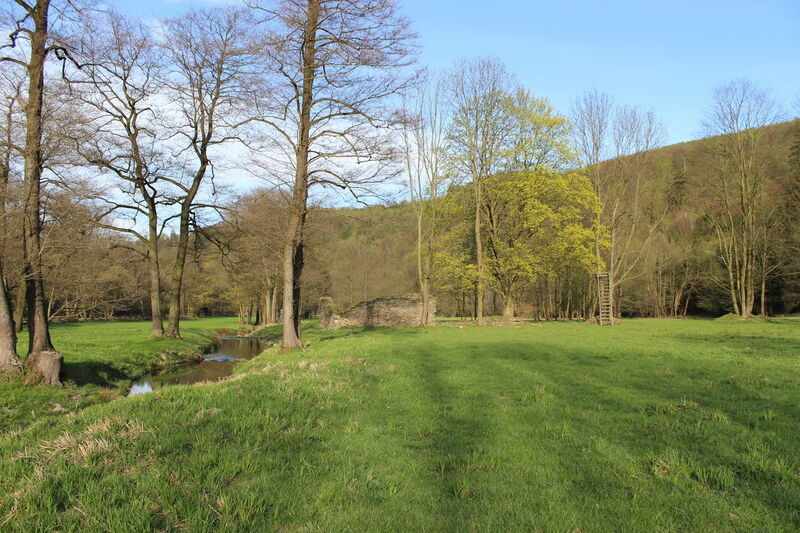 The Rozsocháčský Mill is also worth a visit showing the ruins of original stone buildings and an original, today renewed, water race, part of which was also a wooden weir. 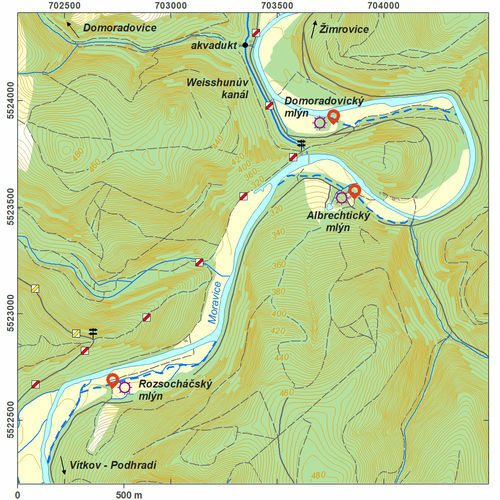 References: Klápště 2005; Solnický 2007; Galusová 2011. 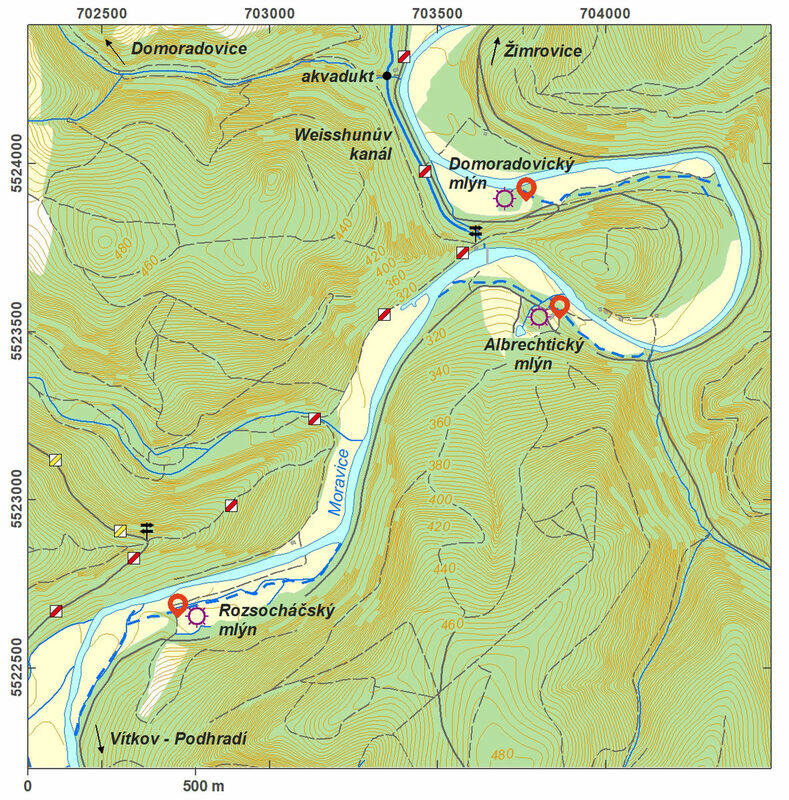 Navigation point: N 49°49‘58.39“, E 17°50‘01.33“ (Domoradovický Mill). 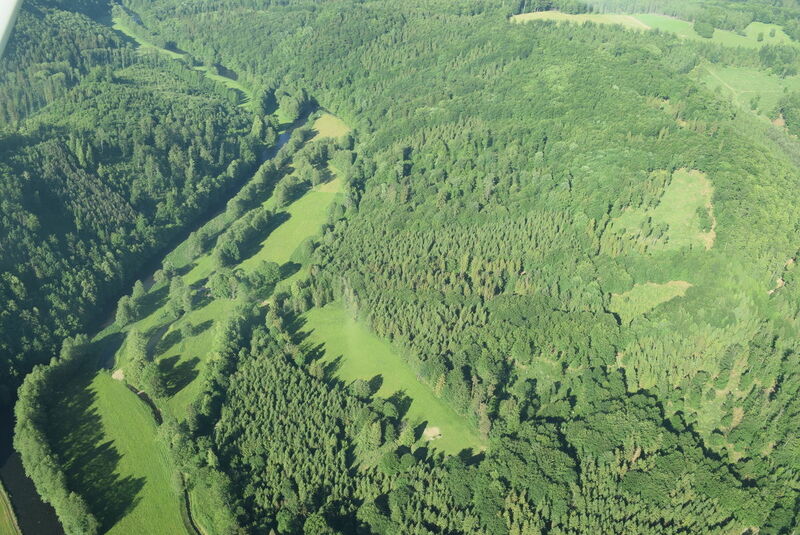 The Moravice River valley with visible mill race. 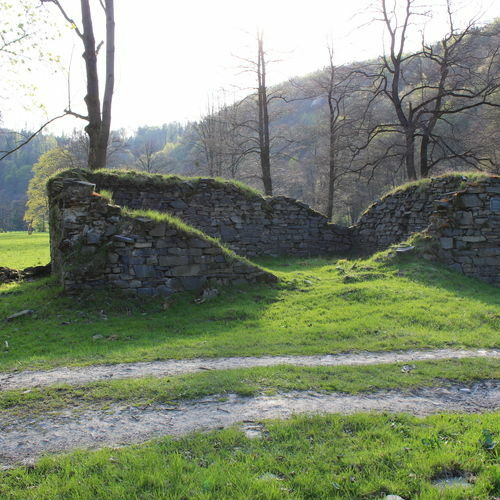 Remains of the Rozsocháčský mill with mill race. Map notes: Map symbols are available in the Downloads section. After Tomášek et al. 2015. Selected fulltext articles and reports for further reading. Complete bibliographical records are available in the Downloads section as the List of publications.